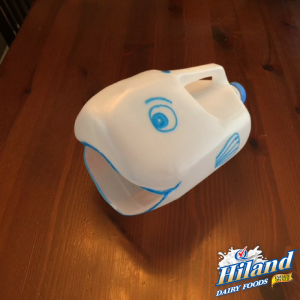 Today is National Children’s Craft Day, so let’s celebrate by helping the kiddos make this adorable whale water scoop for bath time or playtime. Simply use a repurposed Hiland Dairy milk jug and let the water fun begin. 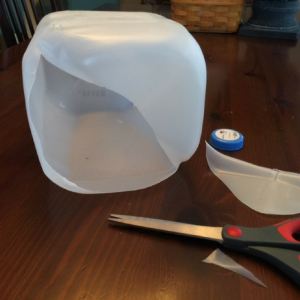 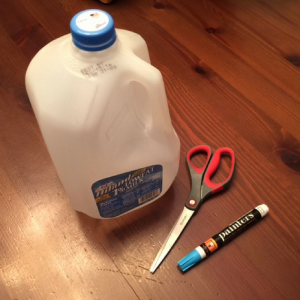 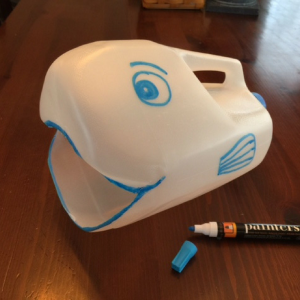 Using scissors, cut out the mouth at the bottom of the jug, making sure the handle faces up. Outline the mouth opening to create lips, and draw eyes, fins and a blowhole using a permanent marker. Fill the whale with water and pour out the fun. 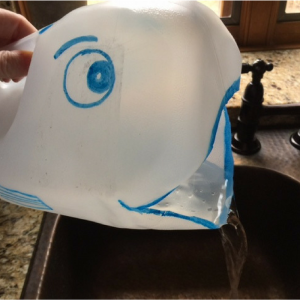 Let your kids use their whale water scoop in the bathtub, pool or as a tool to water plants.